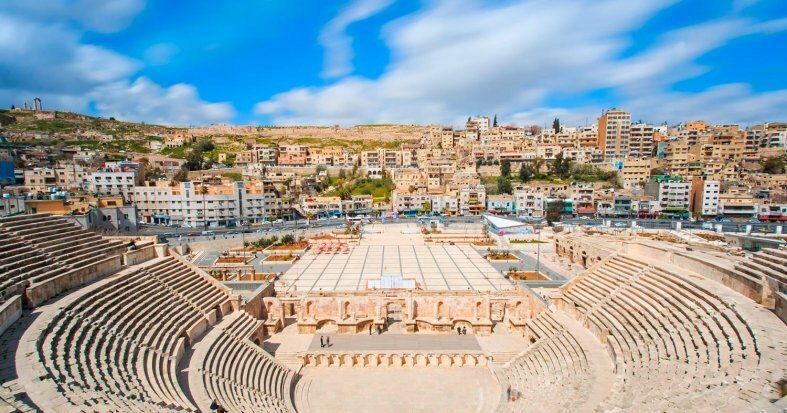 Combine two fascinating countries rich in history with this trip to Jordan and Egypt. In Jordan explore the ancient Nabatean kingdom. Discover the incomparable Petra, one of the seven wonders of the modern world. Cross the famous desert of Wadi Rum and relax on the waters of the Dead Sea. 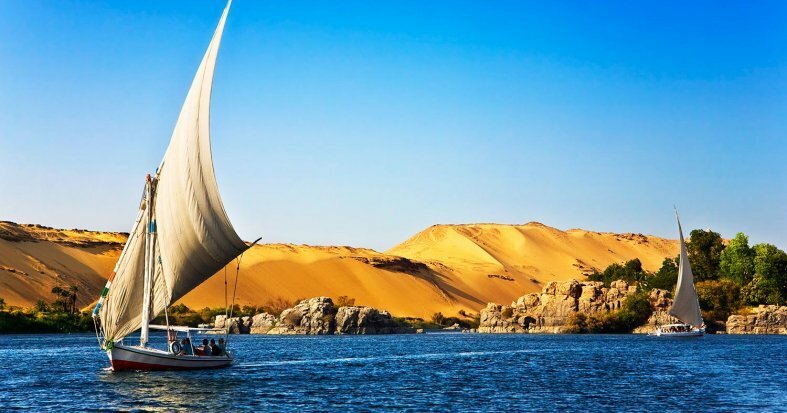 Next, gaze at the Great Pyramids in Cairo & enjoy a 4-night cruise on the River Nile. International flights: US - Amman - Cairo - US. Domestic flights: Cairo - Luxor, Aswan - Cairo. 'Falluca' Ride on the Nile. * Private bathroom in Wadi Rum. If your return flight from Cairo leaves in the early hours of the morning, you will have 12 nights hotel accommodation and late check-out included. ** Clients will not be able to dine at the hotel if the restaurant is closed when they arrive. A dinner box will be available at the hotel at a cost of 12$ per person. Visa (required) drinks, tips* and any other services not mentioned in what's included. * Tips in Egypt are obligatory and amount to 40$ in total per person. Arrive at your US departure airport to board the flight to Amman. Night on board. * If you arrive late dinner will not be included and the total number of dinners will be 6 instead of 7. Breakfast at the hotel. Spend a full day visiting the famed Nabatean capital of Petra. During the visit, tour the most important and representative monuments sculpted in the rock by this ancient civilization. 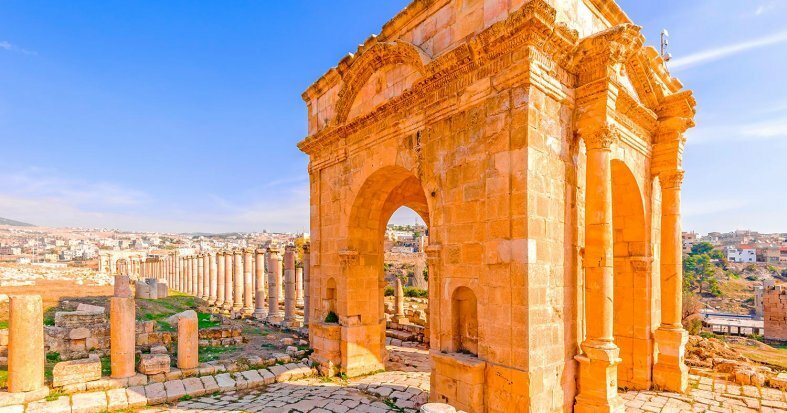 Admire the Treasury, the famous and most internationally recognised monument, as seen in one of the Indiana Jones films, the Colored Tombs and the Royal Tombs, and get to know more about life here in ancient times. 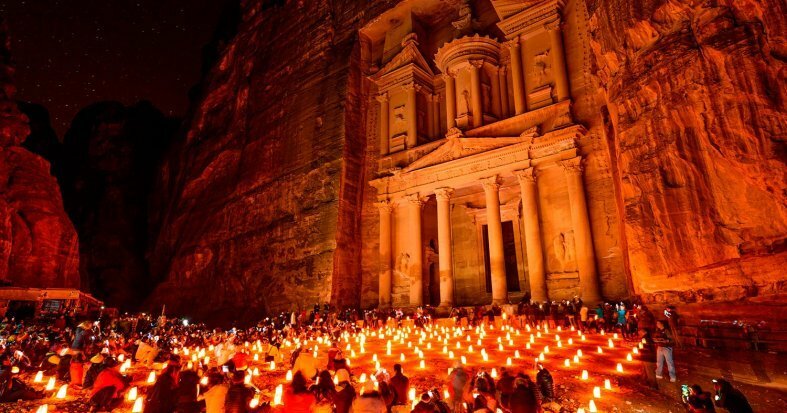 Petra is one of those places in the world that you must visit at least once in your life. At the end of the visit, in the afternoon, return to the hotel. Dinner and overnight stay in Petra. Breakfast at the hotel. Depart to the east of the city, to visit some of the most astounding Desert Castles: These castles, constructed from the seventh to the eleventh centuries, were used as Caravans, others as rest pavilions and some of them as military forts for the defence of the territory. Next, get ready to visit the amazing Dead Sea. The lowest point on earth, located 400 meters below sea level. It is famed for its high salt content, so if you have the opportunity to bathe in the waters you will be amazed by how buoyant the waters are. Return to Amman, transfer to the airport and take a flight to Cairo. Arrive in Cairo, transfer to the hotel and overnight stay in Cairo. Breakfast at the hotel. 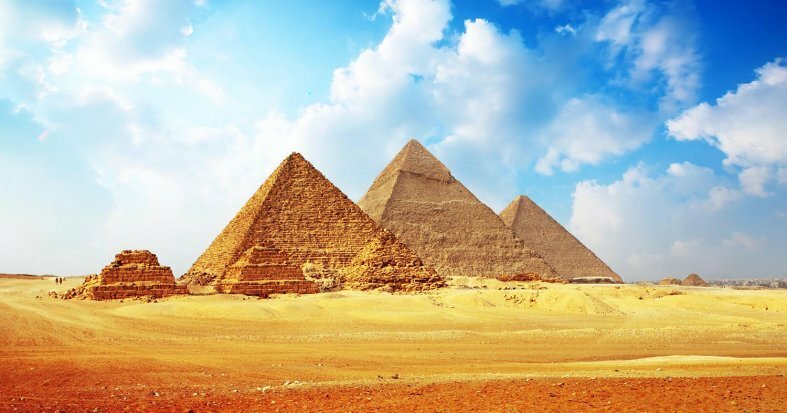 Enjoy an unforgettable half day visit to the Great Pyramids, one of the wonders of the world and home to fascinating history and mystery. Wonder at the sheer size of these structures and discover their hidden secrets and some of the theories behind their construction. 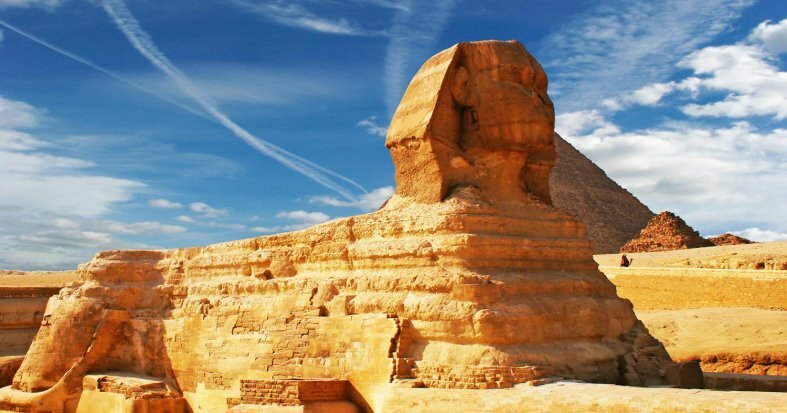 Also, visit the enigmatic Sphinx for fabulous photo opportunities and a glimpse into the ancient Egyptian past. Overnight stay. Domestic flights: Cairo - Luxor , Aswan - Cairo.